Superb ground floor shop premises located in the heart of Whitchurch village and within an established parade of both retail and office units. 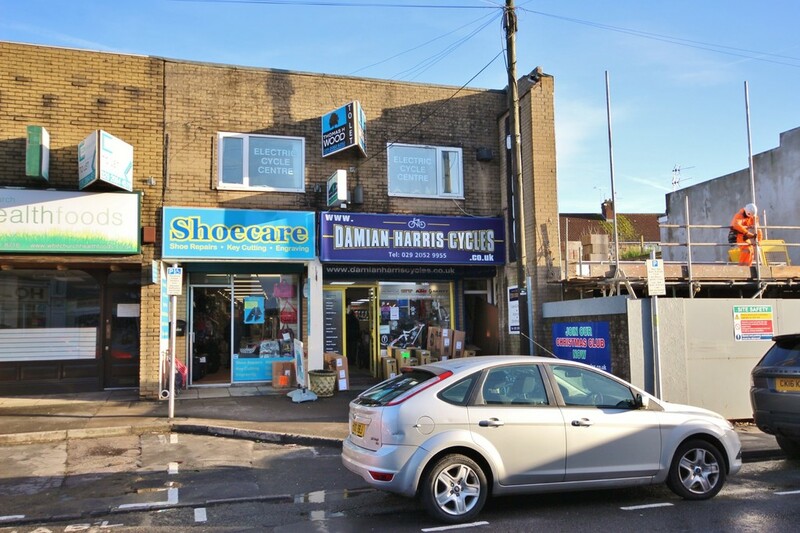 The shop is currently occupied by the long established Damian Harris Cycles and is available due to their relocation to new premises next door. Gas central heating. Air conditioning. Electric roller shutter security doors to front. Off road parking for two vehicles. Surrounded by residential homes and other thriving businesses including pubs, bakeries, supermarkets and coffee shops on the main shopping street. Situated close to Llandaff North train station and well serviced bus routes. There is a large public car park close by with free parking for two hours. 46' x 14'8" (14.4m x 4.49m) max. 10'7" x 7'10" (3.23m x 2.39m) max. TOTAL AREA: 721 sq.ft (67 sq.m) max. LEASE The premises are available by way of a new full repairing and insuring lease or the assignment of the present lease which runs to October 2021. We recommend that interested parties make their own enquiries to confirm the figures given above. VAT All figures quoted are strictly exclusive of VAT where applicable. EPC The Energy Performance Certificate for the premises is available upon request. LEGAL COSTS Each party to be responsible for their own legal costs incurred in the transaction. PARKING There are two parking spaces available.